In many cases, the key to a competitive advantage is the effective application of Business Intelligence (BI). Through analyzing business data, companies gain the ability to identify weak spots and develop ways to strengthen them. While BI is complex, there are many software vendors that have released Software as a Service (SaaS) apps to help small businesses make sense of their data. KPI (Key Performance Indicator) is a company that offers a cloud based dashboard that integrates with your CRM or ERP software. It provides a way for businesses to visualize, analyze and report real-time data from your business’s key metrics. All the results can be viewed on your computer or on your mobile device. 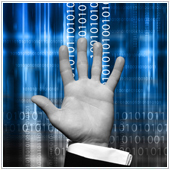 GoodData is an on demand BI provider that offers users a base service that they can add apps to as and when needed. The whole service and dashboards are stored and run in the cloud, and are considerably cheaper than traditional BI services. Bimotics offers an on demand BI service for businesses in almost every major sector. They offer one suite that has data connectors, an established BI engine and analytical tools that should meet most small businesses’ needs. The suite can also be accessed by almost any mobile device. Silver Spotfire is a cloud based SaaS aimed at individuals and small businesses. It lets users create interactive dashboards and visual analytics without the need of costly infrastructure. This app also integrates with major social media services, allowing users to put live dashboards on their blogs. These are just four useful apps that you can use in your business. 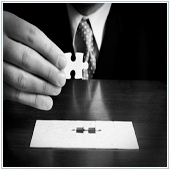 If you’re interested in how you can integrate BI solutions into your business, please contact us. Everywhere you look business owners are inundated by issues pulling their attention in a multitude of directions. 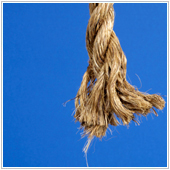 One issue almost every owner has managed to get under control is network security. These businesses are secure from external threats and because of this, believe their systems to be 100% safe, however, they may have missed the possibility of internal threats. Respect him or not, Mao Tse-tung had it right when he said, “The only real defense is an active defense.” Businesses have taken this literally and have adopted Business Continuity Plans (BCP) to ensure that when a disaster strikes they are ready with an active plan. Many of them are prepared technology wise, but the other assets may not be so ready. 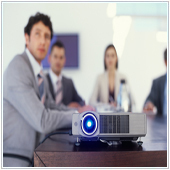 Presentations are an integral component of everyday business and can make or break your projects. With our busy schedules, we often collaborate on presentations with other people to maximize our potential and efficiency. VMware’s SlideRocket is a great tool for presentation collaboration, and with recent integration with a cloud storage provider it has become even better. 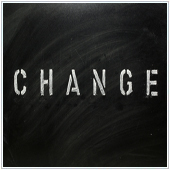 “Change is good,” an adage Google seems to have adopted and implemented with relish. One of the latest changes made was to the layout of Google+, Google’s social network. The new layout is a dramatic change that’s been met with general applause from the tech community. If your company has a Google+ profile, it should have already been implemented. As an industry specialist solutions provider, synergIT provides networking, infrastructure, telephony, and technology solutions to manufacturing organizations, healthcare facilities, and financial institutions. By recommending partners, associates, or professional contacts, you can help them enjoy worry-free IT and reap some rewards for yourself. Receive a $50 Rewards Certificate when your referral begins enjoying a relationship with us. © 2011 synergIT. All rights reserved.